Whether you’re a doc, tech, or patient feel free to poke around. This site is designed to be informative and helpful (Check out the Tips section). If you have any questions you can email me at Tim@CynosureDental.com. or post them in the comment section found at the bottom of most of the pages. Below is my Denture Philosophy. If you want to know more about my ‘Lab’ philosophy then I suggest you check out Our Credo page. 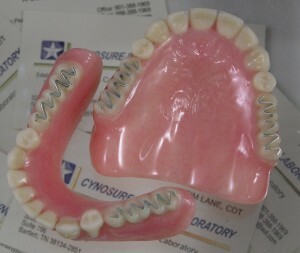 I don’t know how many times I’ve had a doc whose patient loved their upper denture but had a sackful of lowers and just wanted me to make them a decent lower. When I look at the upper’s occlusion I can see why they have a sackful of lowers. Pretty lower made to poor upper occlusion…the left posteriors are even worse. CLICK photo to enlarge. The upper arch is crucial when it comes to the ‘tics‘ of dentures…phonetics and cosmetics or aesthetics. 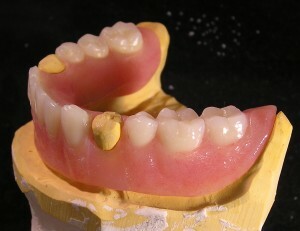 But it should play a supporting role to the lower arch when it comes to the ‘shuns‘ of dentures…occlusion, stabilization, mastication… in other words, the functions. There’s a reason lowers are such a pain. They are one big teetertotter with a big playground bully (the tongue) pushing it around! You give that bully plenty of elbow room and you set the lower posterior teeth where they get the most support from the underlying tissue. It’s a balancing act for sure but the mouth is one big ball and socket with the lower arch being the socket that you don’t want getting pushed around. Upper posterior position should be dictated by the lower and not the other way around.. I tell them I can make a new, prettier lower (what can I say, I like to brag ) but I can’t make it any better if they insist on keeping the old upper. They often react as if I am just trying to sell them a new upper…THAT THEY DON”T NEED! I’ve actually made a couple on consignment (because they didn’t believe there was anything wrong with their beautiful, never ‘had a problem’ upper). Haven’t had any of these rejected…and I don’t think it was because mine were so much more ‘pretty’. 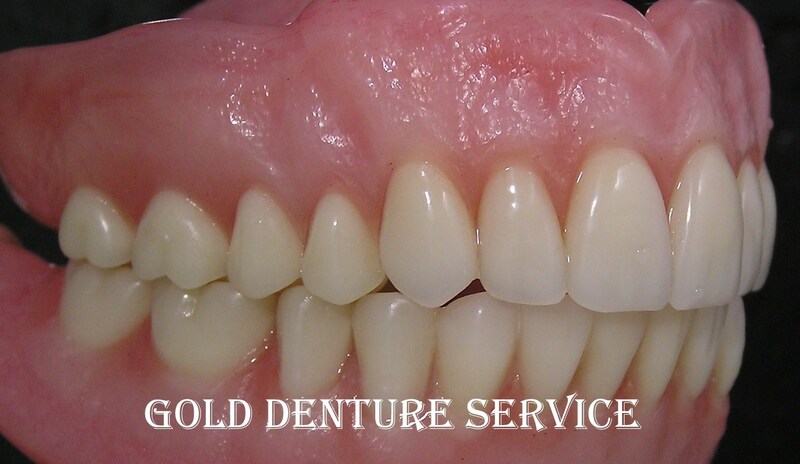 Pretty may make them smile, but fit and function is what makes denture patients happy. Oh! here’s one more chance for me to plug the Luckman Postdam.